In today’s world it is very important to stay healthy in order to work and be successful. We try our best to eat good food so that we can stay away from any health problems and can have a good diet. People are aware of the fact that how important it is to stay healthy and how they have to maintain their diet. 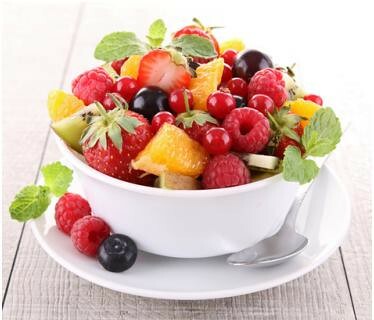 Fruits are always preferable in order to have a good skin and healthy body because they contain rich nutrients and are full of vitamins that our body needs in order to function at its best. We will look at some other food types that are very important and can play a major role in order to keep you healthy and energetic. Wholegrain bread is an excellent source of energy for your body, it has long lasting effect and it is also very good in order to digest food. If you don’t feel like eating fruits you can try this way, cut fruits in small cubes and mix it in fresh yogurt this is very healthy and energetic for your body and has a delicious taste. You should eat chicken or fish at least one time in your meal because they are full of proteins that your body needs in order to stay healthy. Try to drink plenty of water and put some lemon juice in it once a day which is very refreshing and can hydrate your body. Try these energy boosting ways that can help you to stay active. Are there any benefits of fast foods?